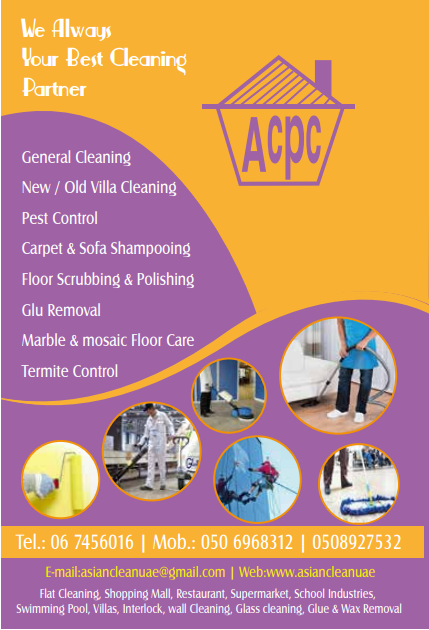 Asian Cleaning was established in 1998 in United Arab Emirates. We are providing professional cleaning services; Machineries and chemicals used are of high quality, which makes us the best solution provider for cleaning service. Cleaning is an art or science and every employee need to equip with basic training. We trained our staff based on the various standards of our clients, aside from their basic training in the field.